Qualified, long-serving members of... staff are committed to ensuring a careful balance of... dignified independence whilst providing personal care and specialist support. En-suite accommodation is provided... for most residents, with bedrooms having sweeping... countryside views and many rooms having direct access to the beautiful gardens. Lapal House has its own chef who... prepares exceptional cuisine using local fresh produce..., taking into account individual tastes and requirements. Find out more and view a selection of sample Menus. Long established Lapal House is tastefully decorated and furnished to a high standard. Personalised care is provided by a team of experienced, compassionate professionals within a warm, friendly environment. 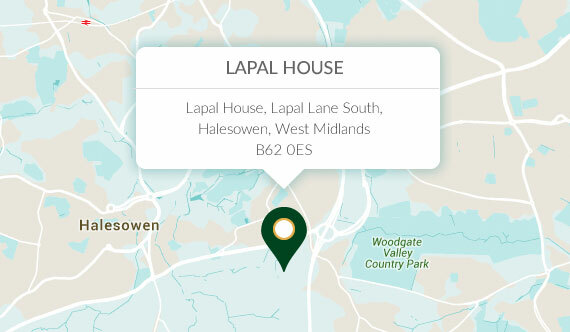 Located a short distance from the M5 and with good local amenities, Lapal House is set within acres of breath-taking gardens. With beautifully decorated lounges, quiet areas, a library and orangery, a safe and welcoming retreat has been created, providing award winning individual care. Lapal House provides a carefully-planned range of stimulating weekly activities and in-house entertainment together with events within the local community.